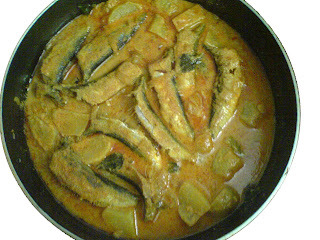 This is a typical Central Kerala style fish curry in which mangoes are used instead of ‘kudampuli’. Sardines belong to the ‘oily fish’ category. They are rich in Omega -3 fatty acids, which lowers the bad cholestrol level in the blood. So, eating Sardines are good for the heart! Clean and wash the sardines thoroughly with salt and vinegar. Grind the grated coconut to a fine paste. Heat oil in a pan and add the onions, ginger, garlic, green chillies and curry leaves. Fry till the onions are light brown. Now add the chilli powder, turmeric powder and fenugreek powder. Fry for a few seconds and add the ground coconut paste, salt and 2 cups of water. Cover with a lid. Let it boil. Open the lid and add the sardines. Keep covered and cook till 3\4th done. Now add the mango pieces, cover and cook till the oil starts floating on top. Serve with steamed rice, idli, dosa or chappathi. Ayyyooo ingane manushane kothippikkano ente lizzie kutty?? :(…Love love these!!!! thank you bharathy for encouraging me! i will certainly write more non veg recipes for you to try. its been ages since i had mathi curry…drooling out here. 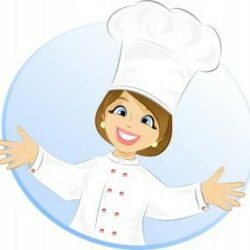 for visiting my blog..glad to see a mallu again in the blogging world..
our own recipes here, loved it..c u again..